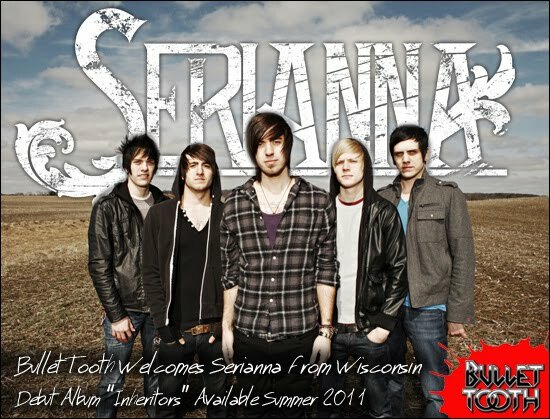 Bullet Tooth is excited to announce the signing of Serianna from Madison, WI! This young quintet has been hard at work recording their debut album entitled Inheritors with producer Joel Wanasek at JTW Studios, due out on Bullet Tooth this coming summer. Fans can get a preview of the song "Fragments" (Pre Production) at their Facebook page. The band has also made their own signing announcement video that you can watch at their YouTube page. Serianna is navigating past its peers in pursuit of something worth preserving, systematically through the muddy gridlock of the current independent music scene. This metal-core squad continues to refine their unique sound while maintaining a solid reputation as one of the region’s most exciting and energetic live acts. Boasting determination as their greatest attribute, Serianna formed in late 2006 as merely high school friends with a bonded passion for heavy music. The lineup was solidified in 2009 when Chicago native Chris Nutting signed on as the band's front man. Nutting quickly made his presence known contributing his raw and emotional vocal abilities and bringing Serianna to a previously unreached tier of musicianship. 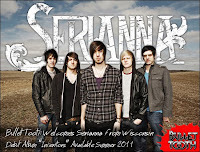 Writing songs with a sound reminiscent of bands like August Burns Red and The Devil Wears Prada, Serianna set out to spread their music to anyone with an open mind and positive attitude. Jumping at every opportunity afforded to them, the band began growing rapidly around the Midwest and have played shows with August Burns Red, Attack Attack, Miss May I, Misery Signals, Chiodos, The Color Morale, Of Machines, Before Their Eyes, In Fear and Faith, Born of Osiris, I The Breather, Bury Your Dead, Suicide Silence, Emarosa, Bless the Fall, I Wrestled a Bear Once, and more. Serianna’s efforts culminated in 2010 as they began work on their debut full length album, appropriately titled, Inheritors. This marks the tenure of the band as they mesh the style and intensity of the music they grew up listening to with the originality and technicality Serianna has come to be synonymous with.